Sound the alarm. This is not a drill. This is not a drill! 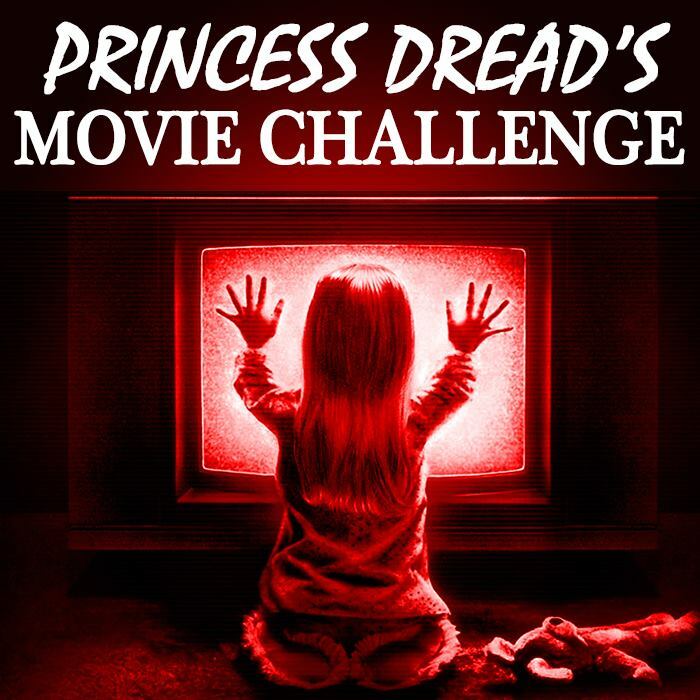 We’ve been looking for the heir to Evil Dead 2 for years. What other movie could portray a horrible house invasion (by people or spirits) so well? What other stand-alone hero can we look to? The search is over. 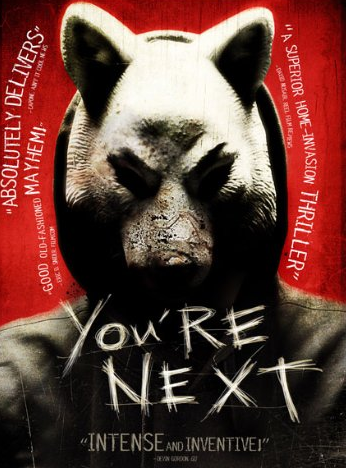 You’re Next is the heir we have been seeking, and Erin is the hero we need. The gist: Erin is heading to her boyfriend Crispian’s parent’s house for their giant anniversary part, where she’ll also meet the rest of Crispian’s family for the first time. These people are wealthy. But privilege does not exclude them from being dysfunctional, not to mention critical of Crispian’s lack of success and former teacher-assistant relationship with Erin. Lots of yelling in this movie. But it doesn’t seem to matter anymore when arrows start flying into the house and people start slicing at random family members from under beds. This family is being targeted. No one is around to help them, because the house across the street is ransacked too. It’s also filled with dead bodies. Nope, this group of hateful rich kids is all alone. And they have to fight a masked enemy with industrial-grade weapons and no hesitation to kill. What I “learned”: It’s a repeat of the same principle I came across in Saw II: Horror movies work when they tap into empathy. There is no horror without empathy, and you cannot have horror without it no matter how scary your villain is. the movie initially starts with the house across the street getting ransacked and slash-ified. A great way to hook us in! But I know a lot of people are going to watch this movie and be annoyed by the length of time spent on establishing the family relationships in the beginning. It’s a very long time. But it’s necessary. It makes you all the more invested in this group, which is necessary for home invasion films in particular. Because I don’t know about you, but watching security film of a stranger’s house being robbed is not my idea of a good time. See this movie if you like: A horror movie wherein you actually believe the relationships within the family. This family is messed up, to the point where you can believe even the most random awful detail shouted over the dinner table. Crispian’s little sister Aimee is one of the first characters to die purely because she’s trying to prove herself useful in the situation. She doesn’t want to be underestimated just because she’s the family’s little princess. It’s believable. Avoid this movie if: Home invasion movies aren’t really your thing. Like found footage, home invasion as a horror plot structure had a moment in the 2000s that went on for perhaps longer than it should have. This is one of the only home invasion movies that I would recommend to anyone, but I perfectly understand people feeling jaded about the entire setup. Stay jaded, people. You have a sympathetic pass from me.